Trade accounts are available to bona fide businesses in the pro-audio sector, you can apply online here: www.bluearan.co.uk/trade - you must supply sufficient supporting information for your application to be considered. Please note that we are a web-based retailer, and the quickest and simplest method of placing an order is via our website. 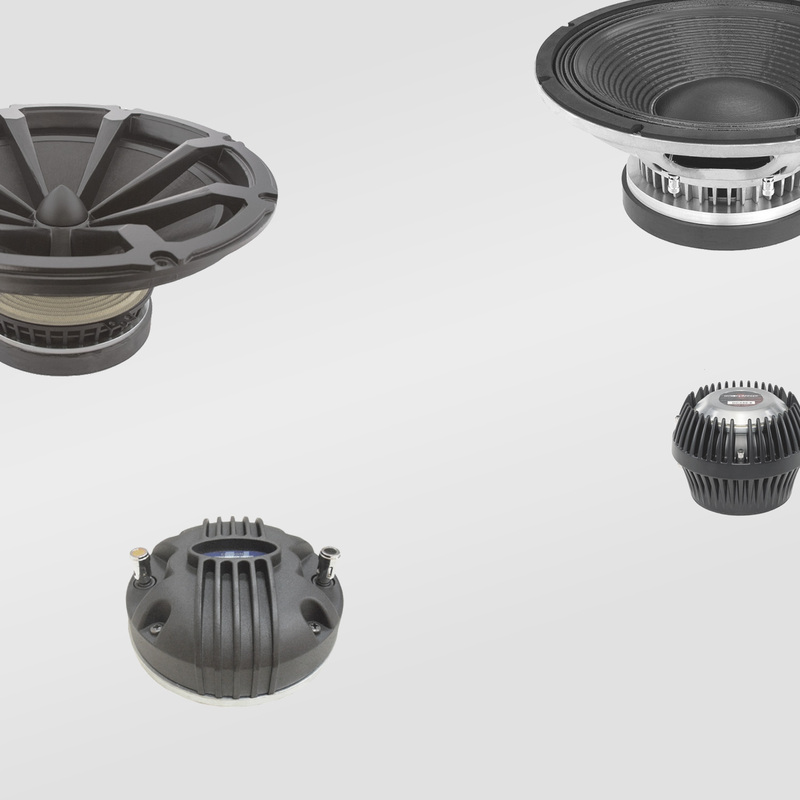 If you have a query regarding a replacement loudspeaker, or replacement diaphragm it is usually quickest to email us on sales@bluearan.co.uk with the details of the cabinet you are looking to replace the drivers or diaphragm in. Photos can be useful for identifying drivers. If you are sending photos, they do not need to be super high resolution but they do need to be in clear focus to be of use. Due to a the high risk of card fraud originating from orders paid over the telephone, we are not able to accept payment by Credit or Debit card over the telephone - all payments must be made via the secure online portal which works with the bank systems to minimise fraud. If you are having difficulty with our website, please email us on sales@bluearan.co.uk and one of the sales team will assist you in completing your order. Admin / Support: 023 8063 4120 We do not take orders over the phone, we are a web based business - please use the online webshop for placing orders. Our Warehouse and Office is open 9:30am to 5:30pm Monday to Friday. Our offices are just off Wide Lane, set back about 50 metres from the road. Access is via a road at the end of the row of houses near the traffic lights. Just Add Music is a registered trademark owned by Blue Aran Limited. We will always consider motivated, hard-working staff with an interest in the sound and lighting / music industry. As part of our ongoing expansion we are currently looking for at least one new member to join our team. There are opportunities for both full-time and part-time roles within various parts of the business. Past experience is not essential, but would be beneficial, the main requirements are a passion for audio and sound, and an enthusiastic approach to challenges. Job roles we are looking to fill, in some cases a single applicant may be able to fulfil more than one role. Wood Machinist / Cabinet Maker we are developing a range of self-assembly DIY speaker project kits. This role will include preparing flat pack speaker kits, test-assembly of prototype speaker kits, assembling and finishing speakers for custom orders. For someone with the appropriate experience, this role would also include designing speakers and programming CAD designs. Sales Assistant Love Speakers? Think you know a thing or two? Want to help others with their speaker projects? Our busy sales team could use some help. Responsibilities include answering the phone, replying to emails, preparing quotations, website maintenance and much more. Marketing/Graphics Designer Handy with Photoshop? Got graphics experience? Our marketing department needs a part-time designer who can assist with making adverts for social media, printed fliers, website banners, and general marketing. Previous experience would be essential. As this is a part-time position, this may well suit a university student looking to get some real world marketing/graphics experience to complement their course. PCB Assembly Our in-house custom passive crossover assembly facility is getting busier, the job involves winding inductors, and soldering capacitors, resistors and inductors onto a PCB. Some basic knowledge of electronic circuits would be beneficial. This is currently a part-time role, which could be filled in conjunction with one of the other roles listed above. Hires Assistant Our hire department is getting busy, with lots of bookings over the summer. Occasionally we'll need an extra pair of hands loading and unloading vans, setting up sound systems, and checking hire equipment is in full working order. If you love playing with sound, and dont mind lifting a few speakers, this is a great opportunity to get involved. Any applicant should be keen, enthusiastic, and willing to get involved in all aspects of the business as and when required. If you think you have what it takes to be part of our team please send a CV to the sales office for the attention of Andy Kos. Some Waste Electrical and Electronic Equipment can contain hazardous substances which could be damaging to the environment and to human health if disposed of in landfill. The best solution is to take all Waste Electrical and Electronic Equipment to a recycling centre where any recyclable materials will be recovered, and the remainder will be disposed of in an environmentally sound manner. Recycle your electrical and electronic devices free at your local recycling centre. To find your nearest centre, visit the Recycle More website (www.recycle-more.co.uk) and type in your postcode. To find more information on WEEE recycling and to locate your nearest recycling centre please visit the Recycle More website (www.recycle-more.co.uk). As part of our commitment to recycling, we offer in-store take back of selected products on a one-for-one like-for-like basis. If you have broken or worn out speaker components, and are buying replacements, you can bring your old components with you and drop them off at our trade counter. Any components that can be reconditioned or reconed, will be repaired in house by our expert technicians, and then offered for sale. This avoids them ending up in Landfill. If we are unable to repair the components, we will break them down into separate parts, steel, aluminium, copper and paper, and deliver them to the appropriate recycling facilities for each material type.